Sometimes I find that the sports books targeting male readers are all to similar to the romance novels targeting female readers: full of fluff and lacking plot and character development. 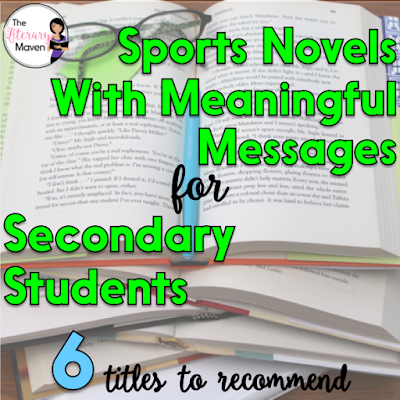 There's little to take away from them other than the idea that sports are cool (just as romance novels offer the idea that love is amazing). 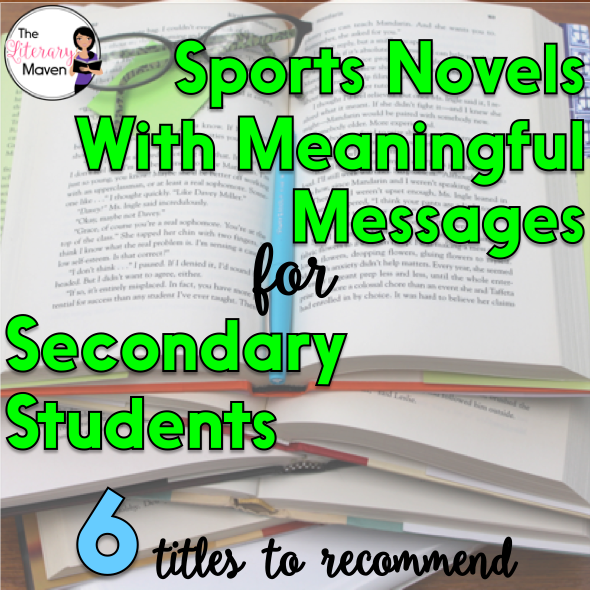 Here's 6 novels about sports that offer some deeper messages about relationships and self-worth that I've recently read and would recommend to secondary students. Click the title of each to read my full review and ideas for using it in the classroom. This fast-paced novel is written in verse. Josh, a 12-year old basketball player, must learn to balance school and basketball, as both family and friendships change. Senior football star Jerry Downing navigates his "second chance" are shares it all publicly on his school's blog at the urging of a classmate reporter. His mistakes and his chances to do things differently are always on his mind, which sets a great example for less than perfect teens. Jake Cullen is following in the footsteps of his older brother and his father as a freshman quarterback on his high school football team. Constantly struggling to fill their shoes, Jake must prove that his talent makes him worthy of a starting position, not his last name. This novel quickly grabs your attention. The narrator, Castle, reveals a traumatic incident involving his father in the first few pages and a chapter later strolls into a track practice and challenges the fastest runner, despite having never running track before. Castle doesn't claim to be fearless, but he is bold and unwilling to let others define him. In the second installment in Jason Reynold's Track series, Patty faces challenges at home and running track is her escape. Her mother suffers from diabetes so Patty and her younger sister live with their aunt and uncle, who are an interracial race couple. Patty also struggles to make friends at her new school where many of the students are well off. This is a modern take on The Great Gatsby set in high school. For anyone who has read Gatsby, the similarities are immediately clear, but for anyone who hasn't the story is just as enjoyable. The novel is narrated by Rick, but the focus is on the mysterious Jake who has just moved to town, takes up the position of snapper on the football team, and holds the wildest parties every Friday night.